You can also get 2 trophies/achievements by collecting all coins; trophy 1: collect all coins on easy/normal mode. 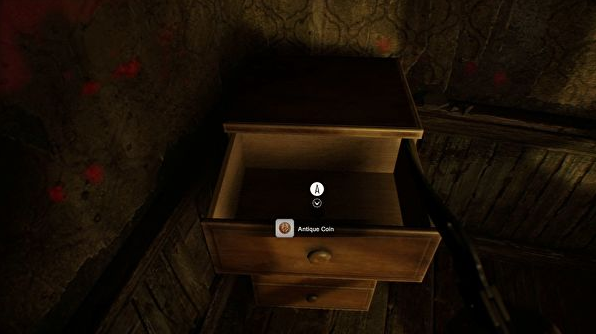 Trophy 2: collect all coins on madhouse difficulty. 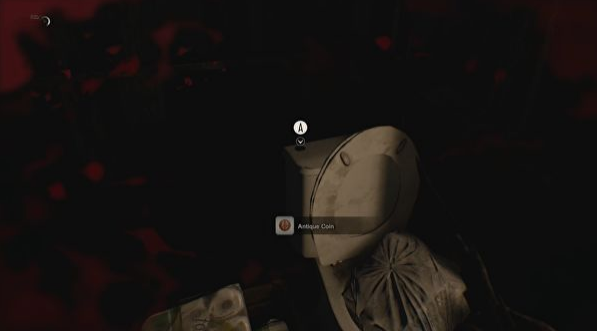 Antique coin #1 can be found in the guest house 1F inside a drawer that is locked in the kitchen right from the very start of the game. However, you need a lockpick to open up the drawer so you need to find the lockpick first. The lockpick can be found in the outside area from where you start. 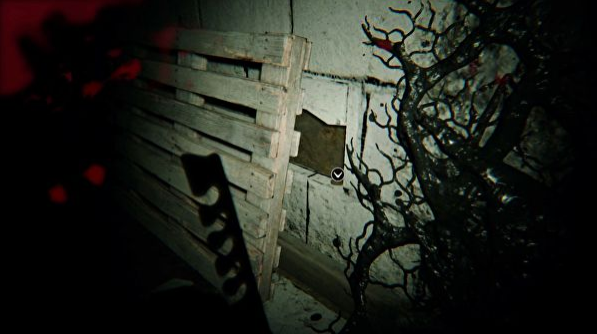 Load up the Derelict House Footage VHS tape so you can search the outside area where you will eventually find the lockpick in the way behind you. Now go back into the kitchen and find the locked drawer which you can open with the lockpick. Antique coin #2 can be grabbed when grabbing the key when crawling into the crawlspace underneath the main house 1F. You will see a red lawnmower off the side, it’s easy to spot. Antique coin #3 can be found in the main hall of the main house 1F. Look at the map, the coin will be in the drawer in the upper left area of the map, before the shabby sofa next to the dog-head door. 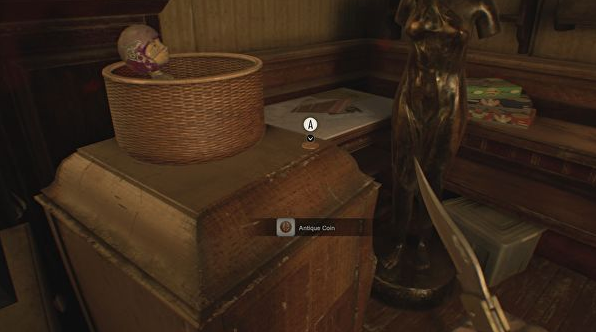 Antique coin #4 can be found in the main house 2F inside of the recreation room, it will be on the top right area on your map near the locked door. You will see a Mr. Everywhere here and a coin close to it. Antique coin #5 can be found in the main house 2F´s bathroom. It will be located in the top left of the room. You will see an old toilet and inside will you will find yourself a coin. Antique coin #6 can be found in the main house 1F inside of the briefing room. Make your way over to the whiteboard close to the memorable room where you can also find a deer. Look in the ashtray that can be found in the locked box and you will see the 6th antique coin. Antique coin #7 can be found in the processing area, in the basement of the house. 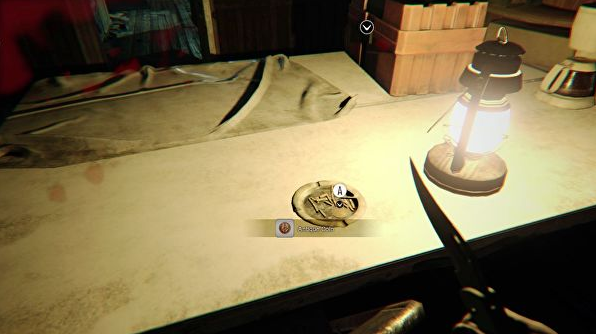 Make your way over to the room where you can find the scorpion key and the area map. Now turn left and you will see a wooden palette that’s leaning against the wall. When you crouch and look behind the right palette you will find yourself the 7th antique coin. Antique coin #8 can be found in the main house. Exit your way through the dog head door and head down the steps onto the grass. You want to push up towards the wall of the house and you will find yourself a new coin. This area looks unreachable on your map but it actually isn’t. 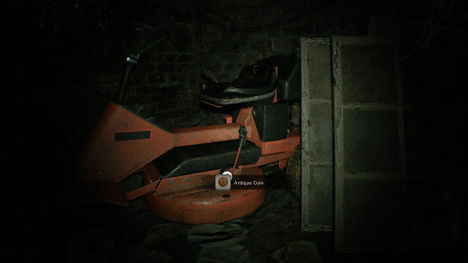 Antique coin #9 can be found in the trailer. 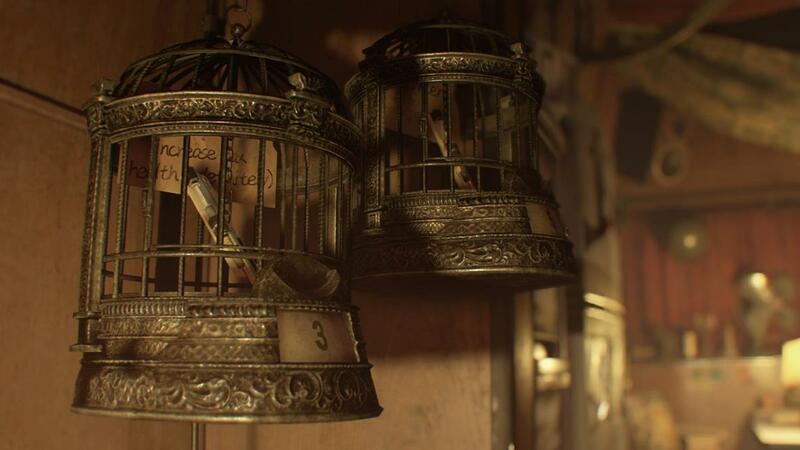 Head into the trailer and the coin will be in front of the cage that also contains the magnum hand gun, or this coin can also be located next to one of the bird cages on the table. Antique coin #10 can be found in the old house 1F. 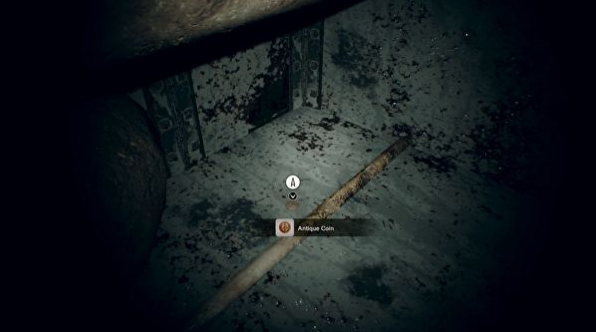 At one moment in the game you will crouch through a hole and see a glimpse on Mia inside a room. Head into the hallway that leads to this room to find a trolley that also contains the 10th coin. Antique coin #11 can be found in the old house 1F. 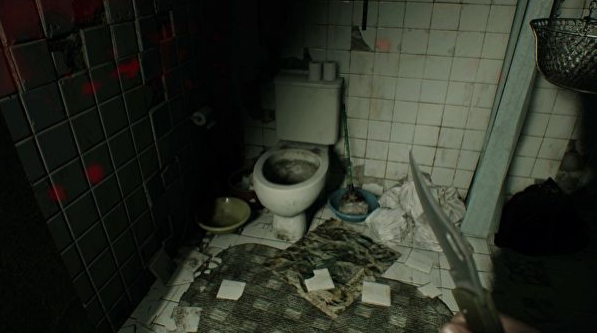 Head to the little box room, look on top of the toilet and find yourself the 11th coin. Antique coin #12 can be found in the old house 2F. After defeating some enemies and opening the crow door you are going to find a dead end which requires you to have a lantern. 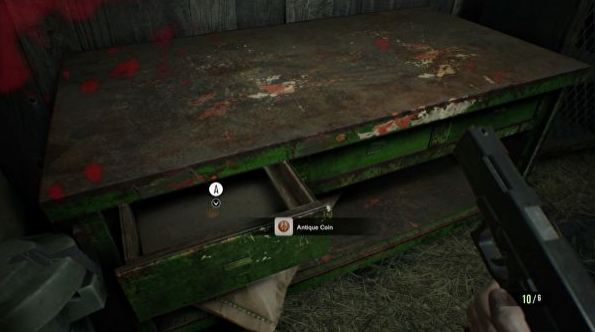 The coin can be found in the topmost drawer in that room. Antique coin #13 can be found in the testing area 1F. At the end of long and boobytrapped passageway the next objective will be in a huge barn on the left. 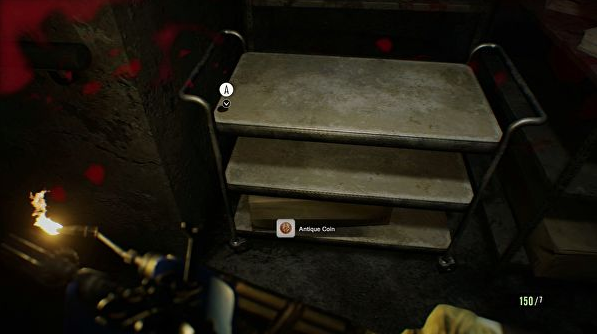 You will find the 13th coin In a boobytrapped small storage room. To disable to boobytrap use your gun to shoot the trip wire. One of the drawers will hold the 13th coin. Antique coin #14 can be found in the testing area 2F. Move your way to the room that has a button to drop stairs back down and look around for some mounted shelves. 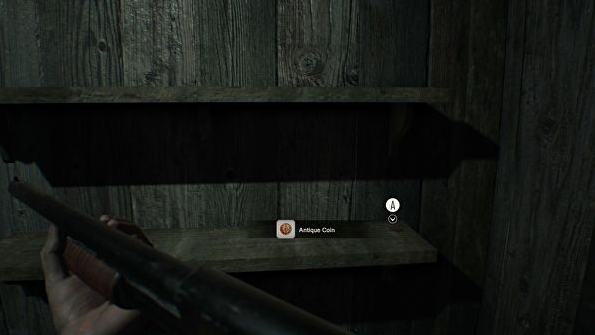 The coin can be found in one of the corner shelves. 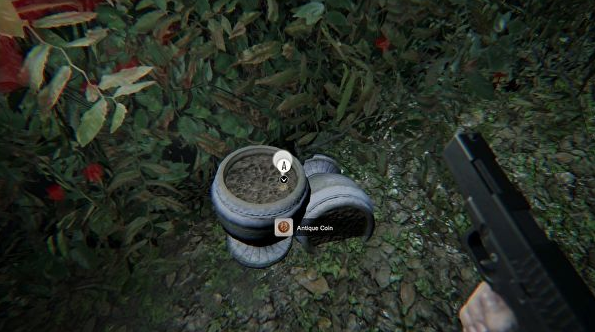 Antique coin #15 can be found in the wrecked ship 1F. Climb through the ship, after you see a flashback where two workers open up a passage drop into the hole. You will be able to crawl to either the left or right. Go to the right and find yourself a new coin at the dead end. Antique coin #16 can be found in the wrecked ship 1F. Find your way to water area and pass a dead body. There will be a ladder and you will find a coin to the left of the ladder. Antique coin #17 can be found in the wrecked ship 3F in a red box. 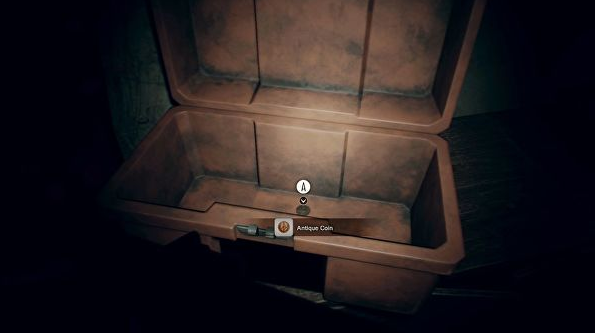 Use the lockpick to open the box and you will find the 17h coin. Antique coin #18, the final coin can be found in the wrecked ship S2 in a locked box. Move your way through one of the engine rooms and find the room that requires you to climb down. 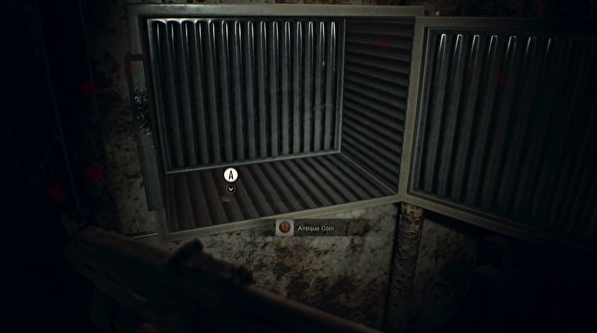 You will then find a safe which requires you to use a corrosive to melt the safe open and collect the final coin. 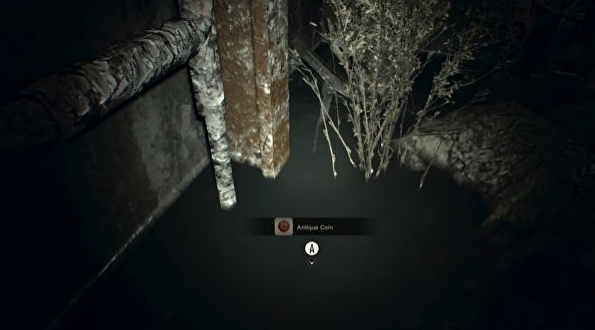 These are all the 18 antique coins that can be found in Resident Evil 7. If you enjoyed this guide, then check out How To Defeat All The Jack Baker Boss Fights too.